Starbucks and several other major coffee merchants are in hot water over the presence of acrylamide, a possible cancer-causing substance, found in one of the the world’s favorite beverages. 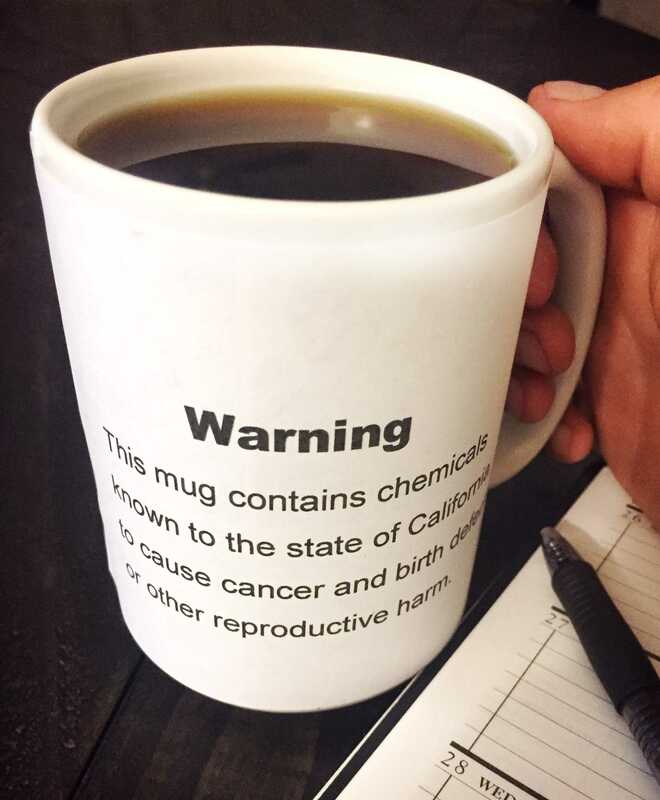 The non-profit Council for Education and Research on Toxics (CERT) is demanding coffee retailers in California display warning signs for customers of the potential health risks. 13 litigants, including 7-Eleven stores among others, have already agreed to display the signage while others remain to dispute the validity of the CERT’s demands. The CSUN University Corporation (TUC), which oversees the operation of the Freudian Sip and other campus dining establishments, has no plans to begin putting warnings up at these locations despite the pressures placed on other coffee merchants. 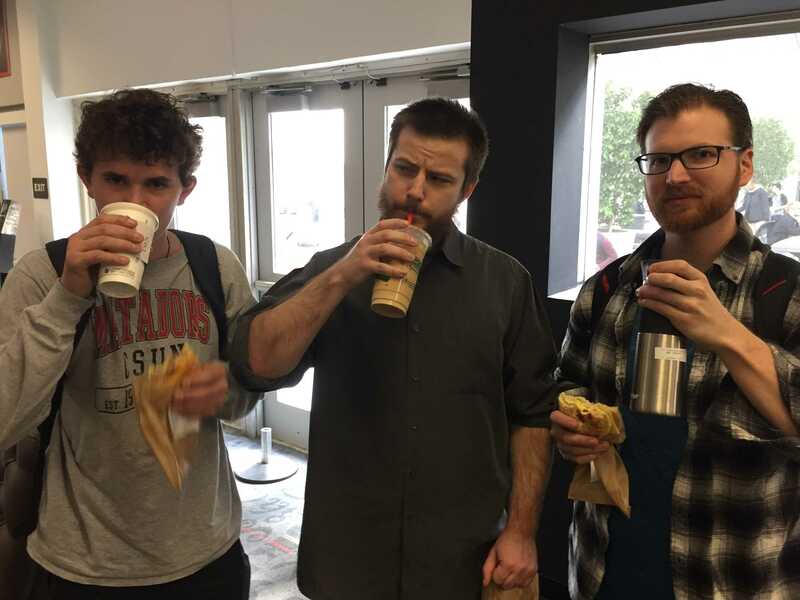 “As people realize there is no real evidence that coffee is harmful in this way, it will become a non-issue,” Mike Lennon, TUC associate director of campus dining said. Acrylamide is the natural byproduct of the Maillard reaction, the same process responsible for the browning on toast and the golden surface seen on fried foods . Many CSUN coffee drinkers do not seem phased by the recent publicity involving their favorite pick-me-up. “I see these kinds of signs everywhere, I’m not too worried about it,” Psychology major Nicole Garcia said while sipping a vanilla latte. California officially placed acrylamide on a list of 65 known toxins in 1990 based largely on rodent studies showing a relationship between the substance and development of certain cancers. Surgical oncologist Dr. Toni Storm-Dickerson of Compass Oncology in Vancouver, Wash. advises these older studies are often taken way out of context. According to Dickerson, cancer studies prior to the 1970s were mostly non-standardized guess and check trials, using specific treatments and dosages of experimental substances under the assumption that the patient’s survival was out of the question. It is only recently that studies have been conducted in a more scientific fashion with the primary objective of achieving consistent results. “The rats in these studies were given huge quantities that would be impossible for a human to ingest, simply to get repeatable results,” Dickerson said. The rats in question were supplied with anywhere between 1,000 and 100,000 times (by weight) the normal amounts to which humans are generally exposed. “So many things are bad for you in certain quantities. Oxygen is bad for you in certain quantities,” Dickerson said. Though the science of studying the effects of dietary acrylamide in humans is still in progress, California may still compel coffee vendors to comply with requests for signage under the Safe Drinking Water and Toxic Enforcement Act of 1986, commonly referred to as Prop 65. Under the act, California must require businesses to present “a clear and reasonable warning” about the presence of agents that affect health. The Metzger Law Group, representing CERT in current coffee-targeted litigation, found success in a 2008 co-litigated suit with the California Attorney General against McDonald’s and Burger King which settled when the fast food giants agreed to provide warning labels on their french fry products and pay civil penalties. The suit also forced Frito-Lay to reduce levels of acrylamide in their potato chip products to avoid further litigation. Unless acrylamide is dropped from the state’s list of official toxins, it seems CERT may still get their wish until further studies shed more light on the subject. Weekly Picks: Hikes, bars, and a concert for a cause!